What better way to celebrate St. Patrick's Day than by coming to see The Big Rubber Band. The Big Rubber Band are holding the pot of music gold for the St. Patrick's Day Weekend. 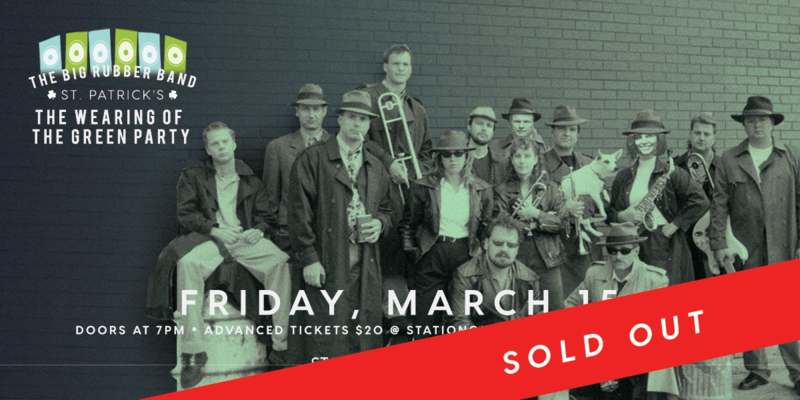 A baker's dozen providing anarchy on stage while throwing big sound of an eclectic mix of R&B, Funk and Classic Rock, adding up to a raucous rockin' good time that sells out every St. Patrick's party that they annually play. Get your tickets or the only green you'll end up wearing is envy.